In " The Digital Writer's Workshop"", Hicks Troy dissects the act of writing in the light of today's digital technologies and provides an illuminating and practical analysis of how teachers can take advantage of technology in creating better writers. From the start, Troy makes it evident that he subscribes to the sociocultural movement of literacy which regards literacy learning as a socially context-bound and purpose-geared act. 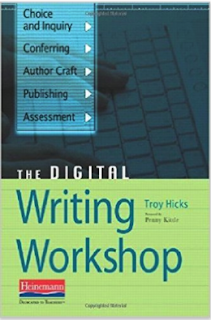 Overall, "The Digital Writer's Workshop" is really a great read and we highly recommend it for language teachers.